Add to the Society’s knowledge of the Manx heritage and share it to the benefit of all Australians. Cultural Heritage expresses the “ways of living” developed by a community and passed on from generation to generation. It includes artistic expressions, customs, objects, places, practices, and values. Cultural Heritage is often defined as being either Intangible or Tangible. Mannagh vow cliaghtey, ne cliaghtey coe. 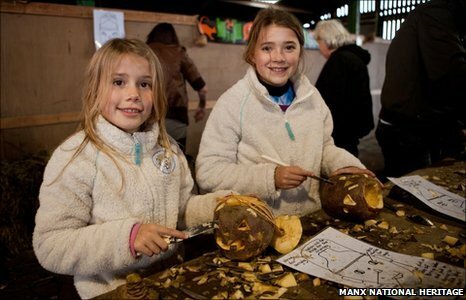 Members of the Queensland Manx Society Incorporated have a keen interest (as the local custodians of Manx Cultural-Heritage) in ensuring the traditions of Mann are not forgotten (i.e. calendar customs, crafts and skills, dances and games, familial customs and traditions, folklore, language, “Manx dress”, music and song, etc.). We rely heavily on support from the Isle of Man in many of these tasks. We are hopeful that we can engage the younger generations with view to them contributing toward the survival (and in some cases, the revival) of our proud traditions. We regularly publish or reproduce topics of Manx Cultural-Heritage interest on our website, on our Facebook Page and / or in our Newsletters. Please contact us should there be a specific Cultural-Heritage topic you would like to suggest for research or publication. One of our priorities is to establish regional pools of Manx folk dancers and Manx folk musicians. If actively participating in either Manx dance and/or music is something that interests yourself, your children, or your grandchildren then PLEASE contact us. The drop-down Cultural Heritage menu at the top of this page will allow you to access a selection of Cultural Heritage topics. During the Viking era (AD c 900 – AD 1286) the armorial emblem of Mann was a Viking Ship underway with full sails. This emblem is still used as the Tynwald Flag (it is also known as the MacDonald Flag). The flag was adopted by the Tynwald Arrangement Committee during the 1970s to represent the parliament and it’s Viking heritage. King Alexander III of Scotland expelled the Norse Vikings from the Isle of Man in AD 1286 and substituted for their armorial emblem in the island, which was a ship under full sail, the three legs of Sicily. Frederick II, King of Sicily, married Isabella, the daughter of Henry III of England. Alexander III of Scotland married Margaret, another daughter of Henry, and Henry’s son, Edmund the Hunchback, became King of Sicily, in succession to his brother-in-law Frederic. Alexander of Scotland was thus brother-in-law of both, Frederick II and Edmund, successive Kings of Sicily. It was in this way that he was led, when he added the Isle of Man to his kingdom, to replace the former Norse emblem of the island by the picturesque and striking device of that other island – Sicily – with which he had so close a family connection. Cushag (Senecio jacobaea, or Common Ragwort) is often stated to be the “National Floral Emblem of Mann”. It is reputed to have been bestowed by Lord Raglan, the Governor of the Isle of Man during 1902-1918 when he suggested in jest that the prevalent weed Cushag should be the national flower. The joke has been lost, but the myth of Cushag as the National Floral Emblem has endured. Cushag is a declared pest plant in five Australian States, but not in Queensland. Another popular Floral Emblem is Gorse (Ulex europaeus), which is also known as Furze. Gorse has a long history of being used on the Isle of Man, and is celebrated in various contemporary folk dances (i.e. Gorsesticks). In Queensland, Australia, Gorse has been declared as Class 1 (strictly controlled) pest plant under the Land Protection (Pest and Stock Route Management) Act 2002. Both plants have bright yellow flowers. Purple for the heather that covers the hills. Manx tartans became popular during the mid-Twentieth Century. Traditionally, fabric would have been woven from local material available to the weaver (including materials coloured with locally available natural dyes); there would have been significant variety in thread counts and colours. Today there are sixteen different Manx tartans registered with the Tartan Authority in Scotland. The most popular Manx tartans worn in Australia are the Manx Laxey (Blue), and the Manx National #2. The Registered Tartans of Ellan Vannin is a small booklet containing information about the various Manx tartans that are currently registered on The Scottish Register of Tarans. Please click here to download a PDF copy of The Registered Tartans of Ellan Vannin.